In case the early presence of glittering ornaments, tiny elves on shelves or Christmas movie marathons on not one, but two Hallmark movie channels haven't tipped you off, the holidays are here. Ready or not, the flurry of family gatherings, face stuffing and freaking out officially begins this week/weekend. Here are some holiday haps to get you in the spirit. Start Thanksgiving off with a turkey day tradition, the annual Jogg'n Shoppe Turkey Trot, a fun 5-mile walk/run through Old Town on Thursday, Nov. 23 starting at 9 a.m. at Old Town Gazebo ($20 with shirt and $10 without shirt). Register at the Jogg'n Shoppe in Arcata prior to race day or from 8 to 9 a.m. day of at Old Town Coffee and Chocolates. 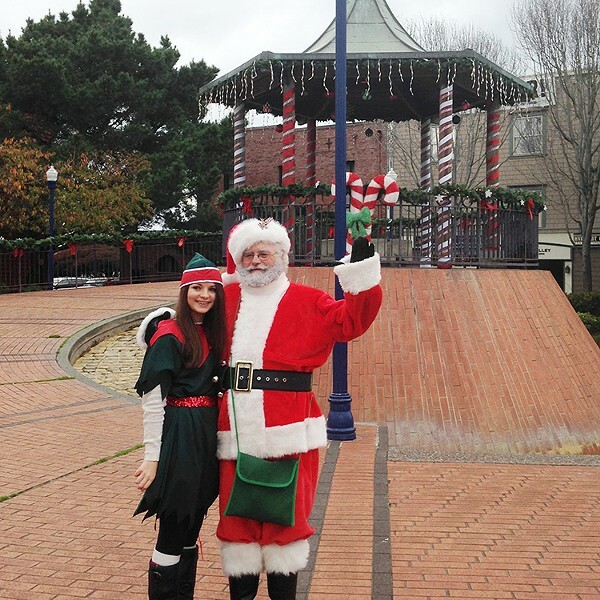 Come back to the Gazebo on Friday, Nov. 24 to shake hands and pose with the big guy when Santa Arrives in Old Town ready to hear all about that Red Ryder BB gun from 2 to 4 p.m. (free). Bring your camera and sweet tooth. We hear he's got candy canes. Also at the Gazebo, on Saturday, Nov. 25 at 11:30 a.m., stand with others under the cannon for Eureka Main Street's Snowball Drop as hundreds of "snowballs" shoot into the sky and rain down, each with coupons, prizes and discounts to be redeemed at Old Town and downtown businesses. It's a perfect way to start your Small Business Saturday shopping.